Assessment of clonality remains a key factor in the development of any new stable cell lines for novel biopharmaceuticals or biosimilars. 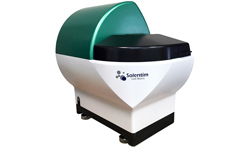 Solentim® has established itself over the past seven years as a significant leader and innovator of new products in the cell line development arena. 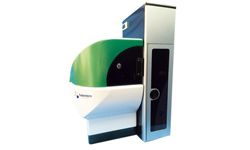 It is a dedicated imaging system for the key step of assurance of clonality and colony outgrowth monitoring. Scanning of an entire 96 or 384 well plate is rapid with high contrast whole-well images captured automatically at single-cell resolution. Incorporated with integrated, temperature-controlled plate loader, A batch of up to 10 lidded plates can be imaged with high contrast captured automatically at single-cell resolution. 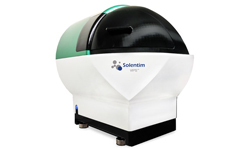 It combines single cell deposition with simultaneous in-situ image verification of a single cell in the well for high efficiency seeding of well plates.